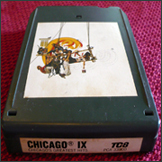 Full disclosure: I do not now, nor have I ever, owned an 8-Track. I was a totally hip dude with a cassette player in my car (the wave of the future). 8-Tracks were for relics who drove a Pacer or perhaps a Pinto. In continuing with the previous post's musings on nostalgia, I realized the other day that I have a completely bipolar love/hate relationship with classic rock. Classic rock from the radio, of course, but even the "classic" era of Christian music (think: Larry Norman, Randy Stonehill, Keith Green). At the same time, "only the dead live in the past..."
"Faith is not a memory; it is a present-tense engagement with reality. Faith is unpleasant because it always asks you to do something you've never done before -- if not, it is not faith. Faith can only live when I've been stretched into a realm where I must act on what I believe without seeing it. "It takes no faith to dream about the past; that kind of dreaming slows down faith." Dreaming about the past is a dead-end. Remembering our roots to invigorate ourselves for whatever "walk by faith, not by sight" (2 Corinthians 5:7) step may be next is the way forward. I will now go about my day, looking forward to whatever faith-dependent steps are before me. 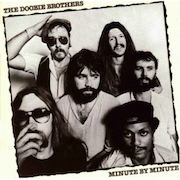 And crank up some Doobie Brothers as I go.